With 8+ years in the wedding industry, Elizabeth is here to make sure your wedding day is exactly how you dreamed it would be. Specializing in makeup and hairstyling for photography, Elizabeth designs a custom look and package as luxurious as you want it to be. Mobile, experienced, and fun! Sit back and enjoy a one-of-a-kind, custom beauty experience that is stress free. Sit back and be pampered. We charge for all incurred parking expenses. Travel fees are applied outside of of Edmonton City Limits and on bookings of less that 3 services. There is an early morning fee of $250 for weddings 6:30am and earlier. To book your wedding during our busy season a minimum of 5 services must be booked (doesn’t apply for Indian Weddings). Looking for something luxurious and deliciously custom? The Socialite: It’s event season all year round for you. You’re dressing up and shopping for events all year round and want to remove the stress of doing your hair and makeup for every event. Let me create the looks, style you and get you ready so you can focus on those last-minute e-mails, or just sit back and relax. Be a bombshell every time. The Luxury Bride: You’re looking to enjoy your wedding as you dreamed of it, anywhere in the world. Your photos will be with you forever and you don’t want a hair out of place. 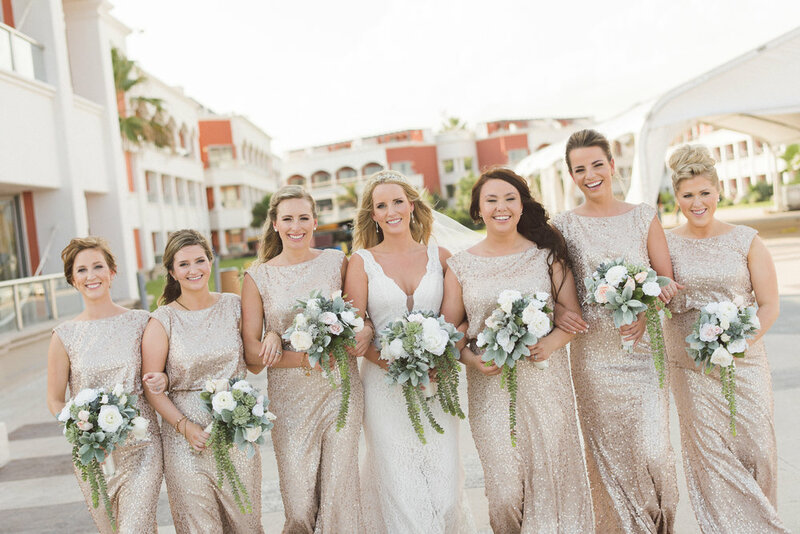 The luxury package includes service options not available to any other bride. On your wedding day, I’m all yours. Want a mini-facial? A second look? A reception package? Anything you want can be added to your exclusive package. I have traveled to Iceland, Mexico, Kelowna, Vancouver and all over Alberta for my clients. 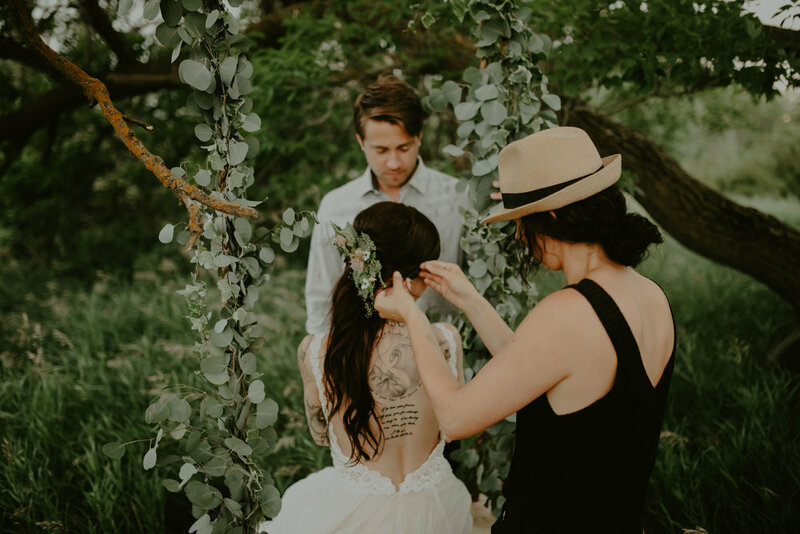 You will love having your own personal makeup & hair artist with you on location for your big day. Each package is customized to my client and includes engagement photo hair and makeup. Discounts available based on location and time of year. If you’re not able to hire a makeup artist for your wedding day, consider a Destination Makeup Lesson . This includes a product package and face chart. You will have the skill and confidence to properly apply your wedding day look while enhancing your natural beauty. And our quality line of makeup and skin care products will ensure your makeup photographs beautifully in your destination climate. If Elizabeth is not your wedding hair/makeup artist, DROP WHAT YOU ARE DOING and book her. She is ridiculously talented, and will make you feel beyond amazing on your day. 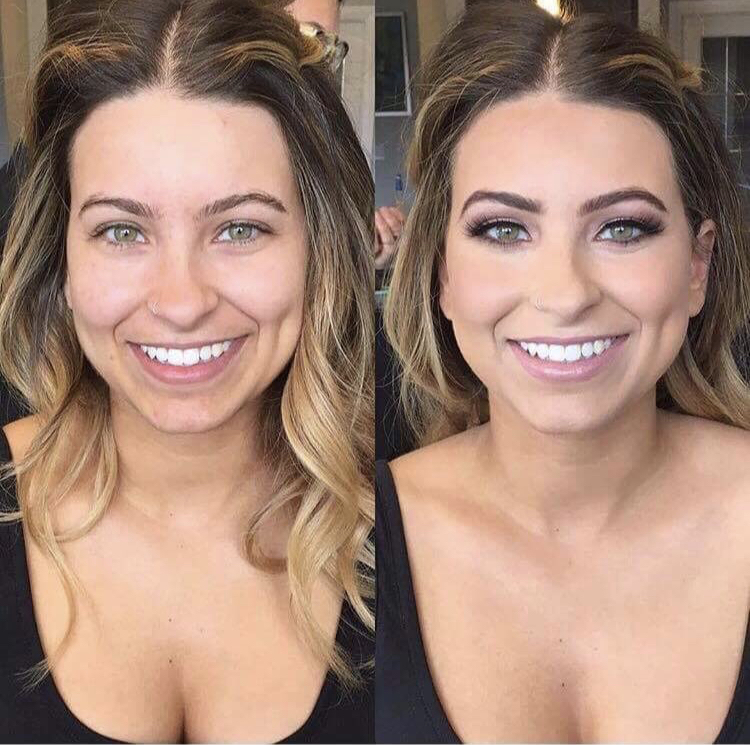 She is very educated in what works for you and your face, and highlights (pun intended) your best features 😉 I couldn’t have dreamed of a better hair/makeup artist for my wedding. I was actually really sad when our day was over and we had to go back to the states, leaving behind all of our awesome vendors, like Elizabeth. I can only hope our paths will cross again someday. Thanks for everything! Elizabeth always makes you and look like the most beautiful person alive. Her confidence and positive spirit is infectious. I love working with her. I 100% recommend Blushed Beaute! I have been a client of Blushed Beaute for 4 years. In that time, I have had the pleasure of working with everyone on the team. It is so amazing to be able to trust a full team of artists knowing that you'll get amazing makeup/hair done each time. Elizabeth, the owner, prides herself in delivering the absolute best - and it shows in her work, the work of her artists, and the way they take care of their clients. Thank you, Blushed Beaute! Thank you for contacting Blushed Beaute! I am excited about your booking and would love to be a part of your wedding, special event, photoshoot, or even teach a class! I'll be in touch within 24 hours.